Since it’s been so hot I haven’t really wanted to cook anything that will heat up the house. So last night I actually used the crockpot to cook dinner. Although I usually associate the crockpot with cold weather it actually worked quite well in the heat. It didn’t heat up the kitchen at all and dinner was done when we got home on Saturday night. What’s not to love about that? In addition to the crockpot dinner I whipped together a quick cucumber salad as a side dish. A couple of my friends have tons of cucumbers in their gardens right now and I was lucky to get ahold of one. 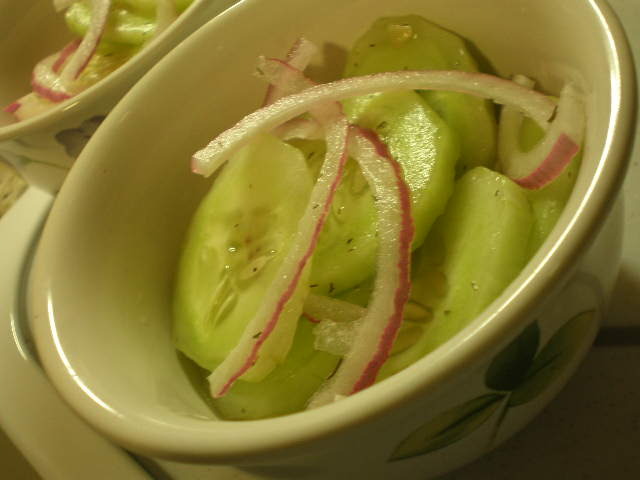 Cucumber salad is a great way to use up extra cucumbers. In a medium bowl, whisk together vinegar and sugar. Add dill and whisk some more. Add cucumber and onion and stir to coat. 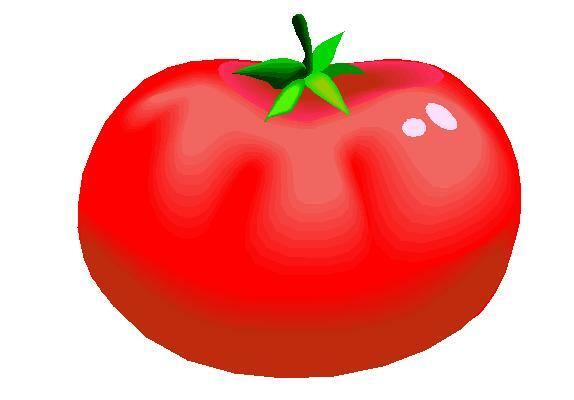 Serve immediately or refrigerate until serving. This recipe is really just a guideline. Feel free to experiment with different kinds of vinegars and amounts of sugar. I’ve used balsamic and apple cider before with good results. I listed the amounts of the ingredients with ranges, because depending on the size of the cucumber you may need more or less liquid. Benzo said this was the best cucumber salad ever and he wants me to make it like that all the time now. I’d say it was a hit? 🙂 I really enjoyed it myself too. It’s very refreshing and just tastes like summer. 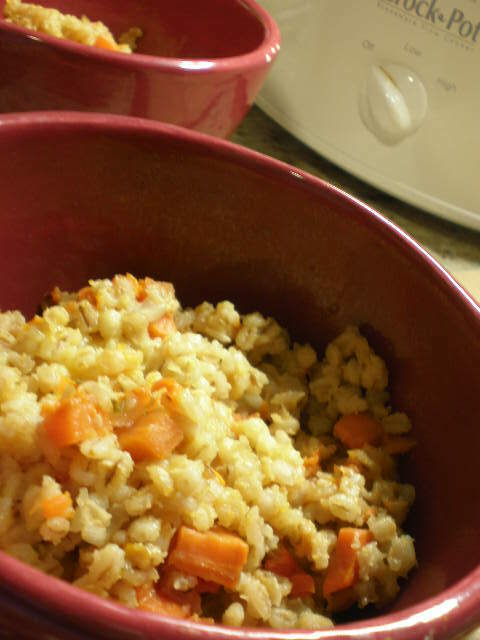 The main dish was Sweet Potato Barley “Risotto” from 125 Best Vegetarian Slow Cooker Recipes . The risotto is in quotes because it’s not a risotto at all. I don’t know why the recipe is titled that but whatever its called, it was good. Barley is good, sweet potatoes are good and anything in a crockpot that is ready when I get home is good. This picture is a little blurry but you get the idea. Well it’s Sunday night and I better get on to bed. Can you believe the weekend is over already? Gah. It always goes by so fast!